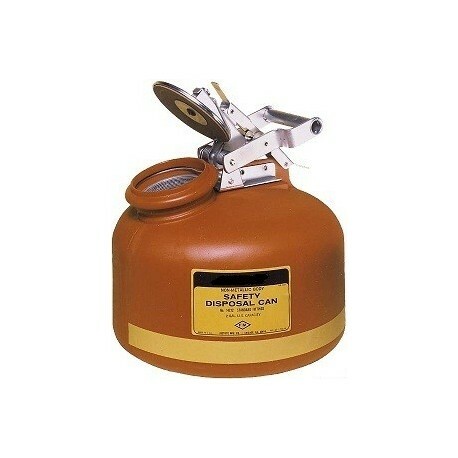 SOLVENT DISPOSAL CANS are made of high density polyethylene for superior chemical resistance and leak protection. Large and strategically placed opening offers controlled filling and pouring during disposal. Fixed position on handle allows lid to stay open for easy pouring. When closed, the cap automatically vents at between 3 and 5 psig. 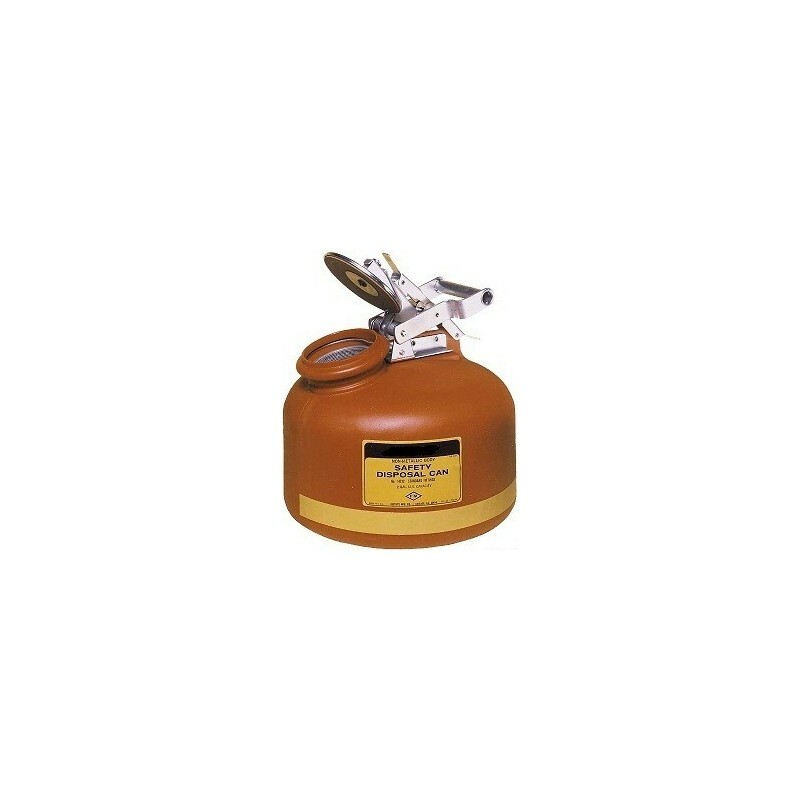 A flame arrester guards against outside ignition. Plated steel hardware is an economical choice. Stainless steel hardware offers the most protection against corrosives. J112-076 (2 gallon) and J112-079 (5 gallon) have built-in polyethylene drum fill gauge. Indicator pops-up to warn you that the container is almost full.